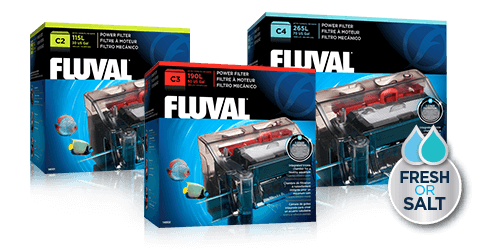 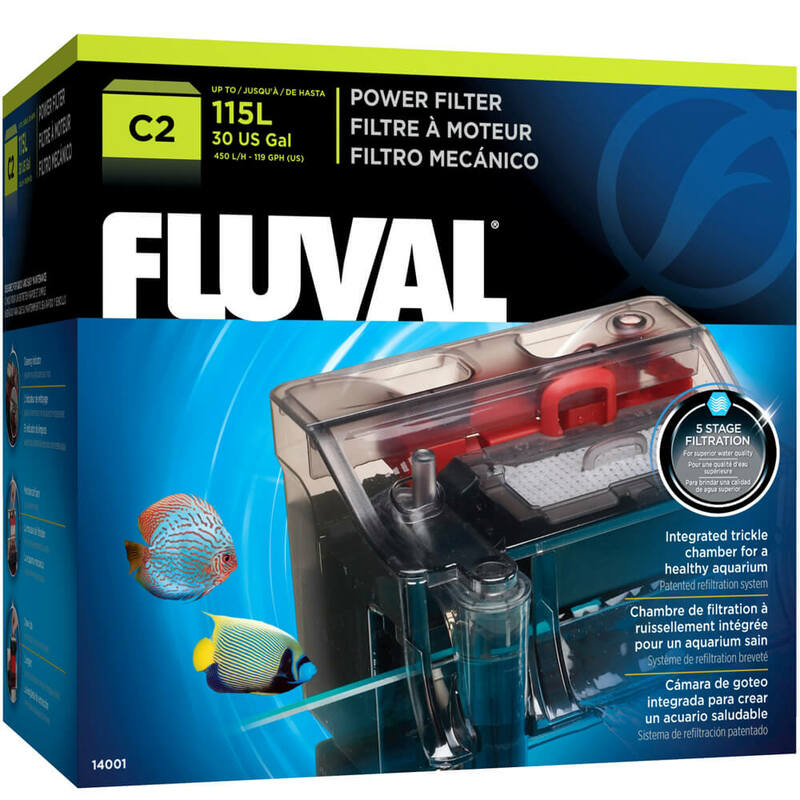 The Italian-made Fluval C series combines the best features of a canister filter with the ease of a hang-on. 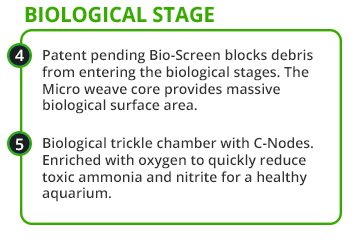 Providing extensive mechanical, biological and chemical filtration through a 5-step cleaning process, each media stage permits easy replacement or customization to suit any setup. 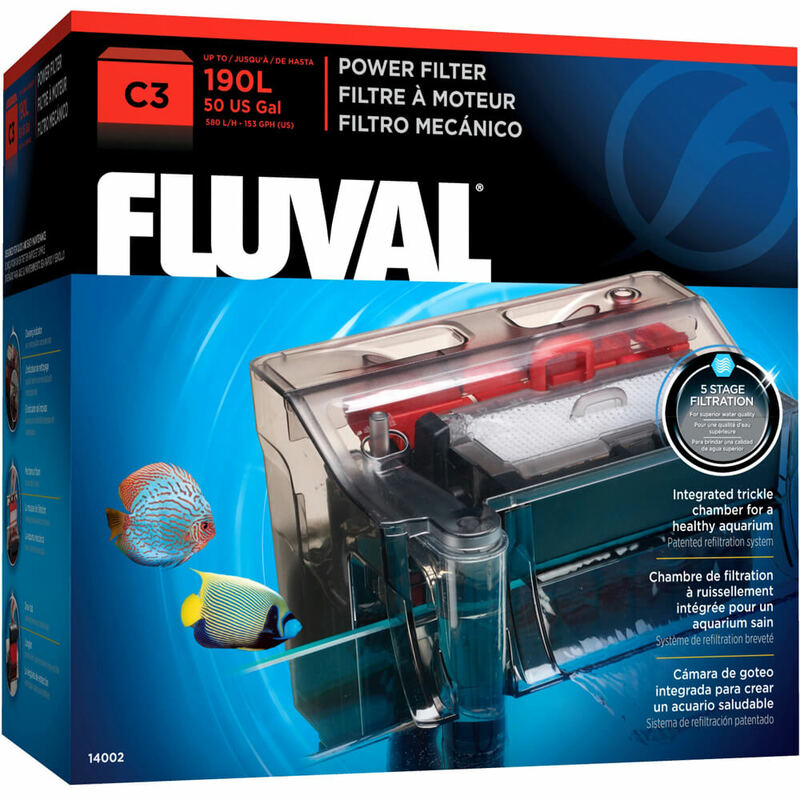 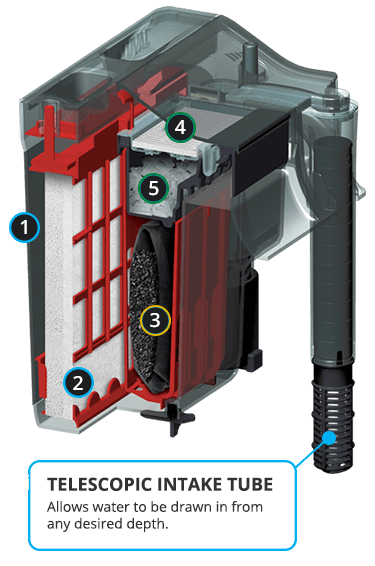 A patented refiltration system enables you to control water output while increasing dwell time within the filter. 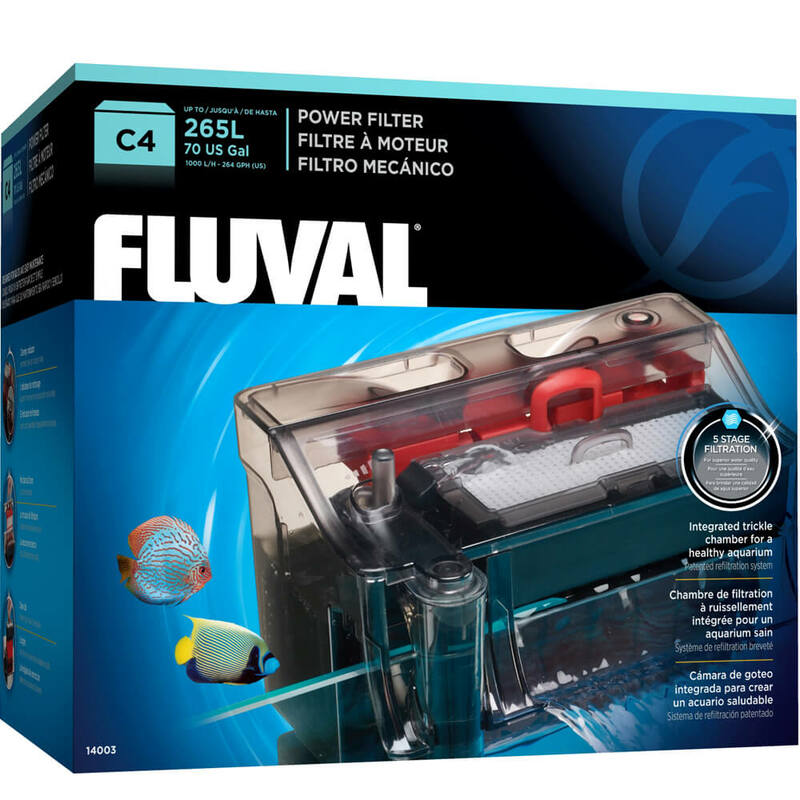 This is particularly beneficial to protect delicate fish and plants, while also allowing for better nutrient absorption. 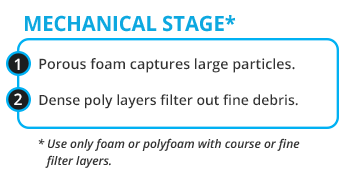 Rises when poly/foam pad requires rinsing or replacement. 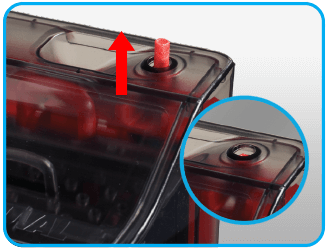 Slips out easily for rinsing. 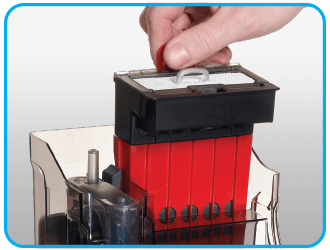 Enables simple removal of chemical basket. 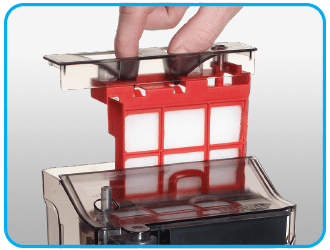 (L x W x H) 7 x 5 x 6"
(17.7 x 12.7 x 15.2 cm) 7 x 5 x 7"
(17.7 x 12.7 x 17.7 cm) 9 x 6.5 x 8.5"